Hammerworks skilled artisans proudly handcraft Colonial Post Light Top PW 103 in New England. Most importantly we make these “Williams” Colonial Post Lanterns in two sizes. Therefore you can choose Colonial Post Light PW 104 if your landscape design scheme requires something on a smaller scale. 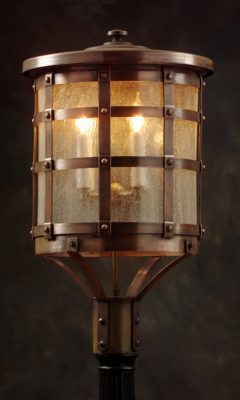 This attractive post top fixture is a great option when you want a rustic appearance. It is perfect for a New England Farmhouse Style Home or perhaps an Antique Colonial Reproduction Cottage. We offer reproduction Colonial Post Lanterns in a choice of hand rubbed solid antique copper or brass finish. Thus the fixture has an attractive satin patina, which will oxidize naturally over time. In addition we can apply a Verdigris finish giving your Outdoor Copper Post Lanterns a weathered look. Furthermore we offer painted black as a custom option. Because we take time to fold, bend, cut and solder by hand, the result is a Colonial Lighting Fixture of unmatched quality. 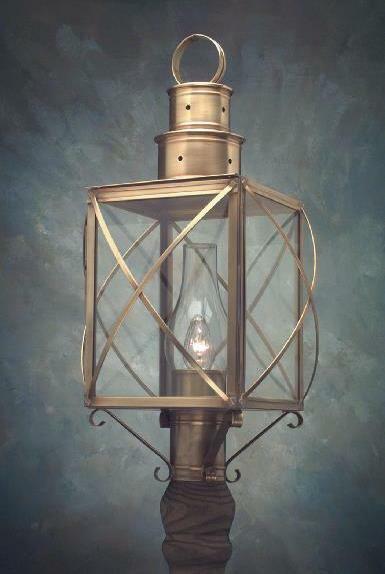 As a result of our attention to detail and craftsmanship we guarantee a fine heirloom lantern. 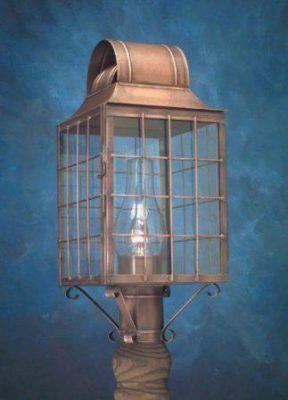 Therefore these reproduction Early American lanterns will illuminate your homes’ driveway or walkway for generations. 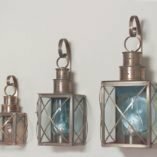 No matter which Colonial Post Lanterns you choose you will find complementary Colonial Wall Lanterns & Colonial Hanging Lights in our extensive collections. Whether your style is formal, traditional or primitive we offer selections within all of these realms. 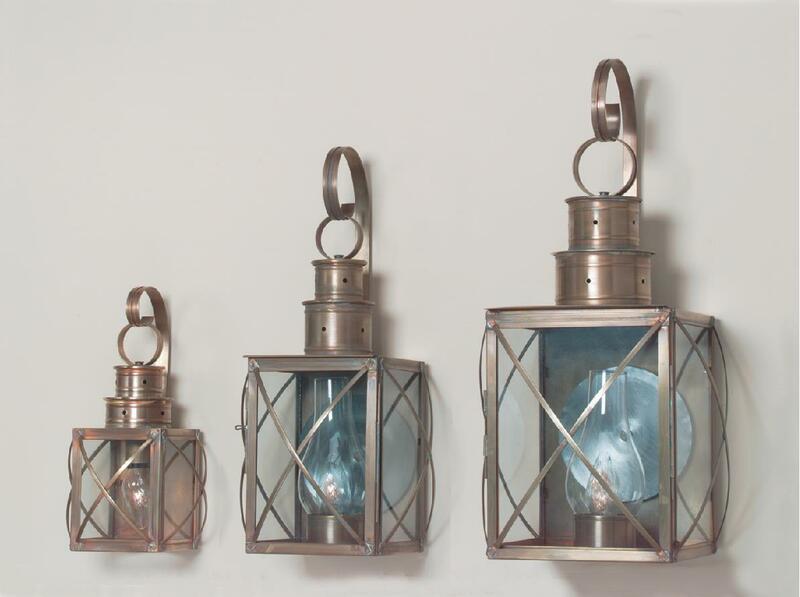 Simply choose a Colonial Post Lantern and then browse further for coordinating wall mounts and hanging pendants. Therefore you will easily find everything you need to create a uniform look throughout your lighting design scheme. With regard to the Colonial Post Light PW 103 or PW 104 there are several options to choose from. 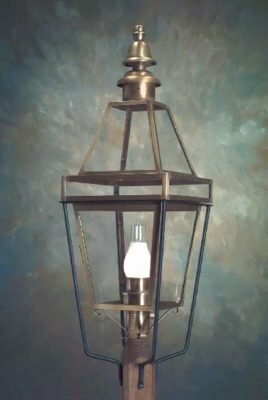 We offer three sizes of both Colonial Reproduction Wall Lantern Williams W104 and Colonial Hanging Copper Lantern Williams HW104. Consequently no matter the size of your home there is an option for you.